Hello….is anyone still out there????? My apologies for taking so long, but I’ve been very busy with my new job and all. Yes, it turns out I was hired on by the sign company about three weeks ago or so and have been busy training, studying, and trying to get a handle on things since then. The jury is still out as to whether or not this is something that’s going to work for me, though the folks sure are nice. Turns out the reality of it is quite a bit different from the picture that was painted for me those many months ago. Surprise! We’ll see how it goes. I’ve been camped on the shores of Lake Wylie for over three weeks now at a State Park called Ebenezer Park. Just lovely. For only $15 a night, I get a large, wooded site with full hook ups including wi-fi. For those of you not in the know, this is a bargain and a half! The campground is actually in South Carolina, just over the border from NC and is about an hour drive from the office in Charlotte (which I only have to go to once a week). Like many lakes in this neck of the woods, Lake Wylie is long and skinny with lots of arms shooting off from the main body. The average depth is only 21ft and this summer, I bet it’s a fair bit shallower than that due to the lack of rain. There is a spot just off shore from where I often sit to read or study and I crack up at the number of boats who constantly run aground there as evidenced below. In addition to the many Canadian Geese who make their home here, I’ve seen several Blue Heron and a long-legged white bird which I figure to be an Egret. 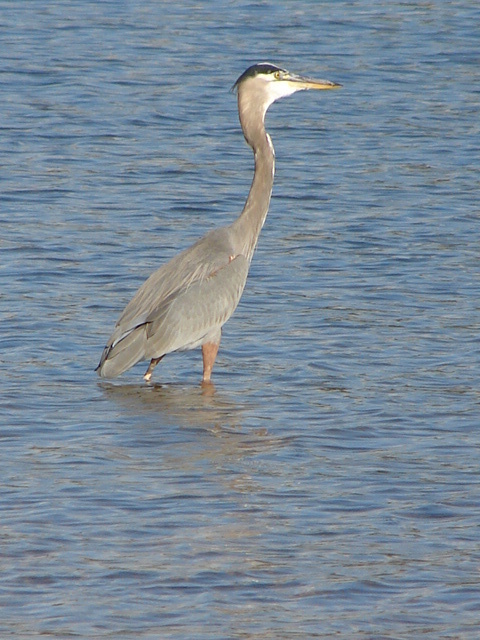 Check out the Heron below during his morning fishing expedition. Look closely. He caught himself a fish. 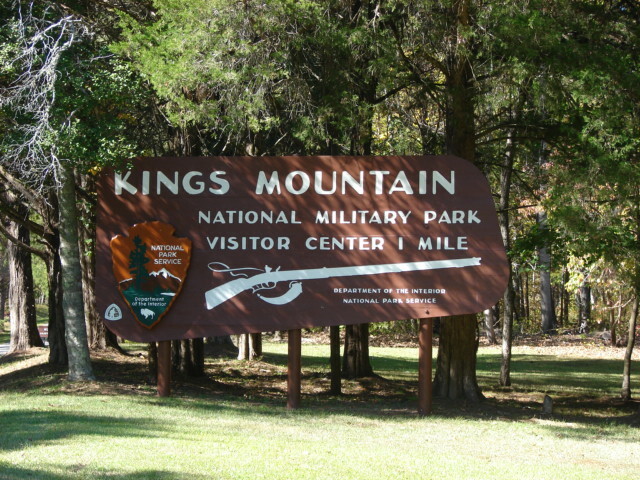 This past weekend I took some time to visit Kings Mountain, NC, which is a National Military Park so designated for its significance during the Revolutionary War. It seems a battle was fought atop Kings Mountain between the Patriots and the Loyalists that turned the tide of the War, which had been in a stalemate at that point. What an interesting day. There is a 25 minute movie and a museum, which can be followed by a mile and a half interpretive walk through the woods, around and up the mountain/battlefield itself. Misty, Mosely, and I enjoyed it thoroughly. 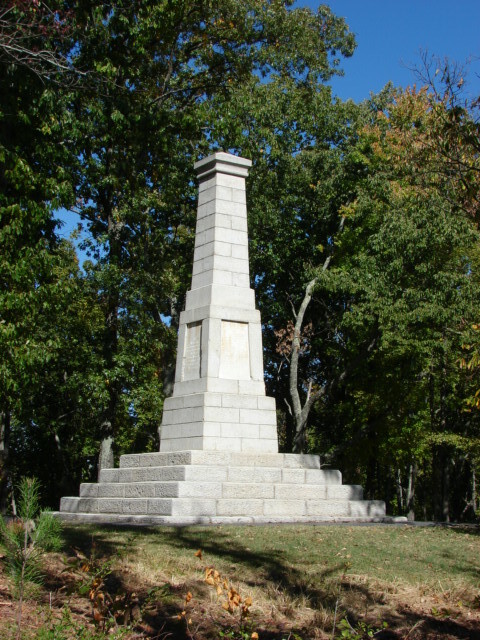 There are two monuments on top of the quarter-mile long ridge where the battle came to a climax with the Patriots finally making the ridge and pinning the Loyalists in a crossfire. 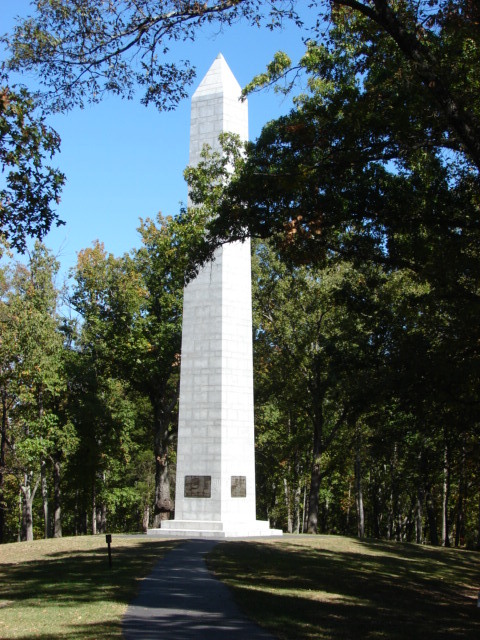 The first, pictured below, was erected by the descendents of those who fought and the second one, strongly resembling the National Monument in DC, was erected by the US government to commemorate the battle. In addition to Kings Mountain, I climbed Nan’s Mountain as well. Back in the day, there was an iron ore pit mine here as well as another Revolutionary War battle, albeit a far less significant one. This was my first “niner” and I’ll have you know, I climbed it solo and without the aid of oxygen. The elevation at the summit was a whopping 976ft, hence the “niner” designation. Phew! That was a tough one, but I made it all the way up the gravel road to the top. Stay tuned. My sister and I are heading up to Stone Mountain State Park in the northern NC mountains on Friday for a long weekend and I’m sure I’ll have some fun stories and photos to post as a result. Just when we started wondering what happened to Margie, and this arrives! Glad you’re still going and having fun. We missed hearing from you and your latest travelogue was very interesting……as usual. The warm conditions you have there make us a bit envious. Tomorrow if it doesn’t rain/snow we plan to bike and cache with Joanne in Eagle River. Great hearing from you guys!!! Thanks for hanging in there through my extended absence. Hi Margie! Glad to have you back;. Bunny said she really enjoyed having you around. Lil & I had a great trip; Lil has been busy working on her Russia pictures. I think she plans to make a photo book of Russia. I haven’t gotten mine off the cards and onto the computer yet! I just finished disconnecting my wireless router and hooking up this Mac direct to the cable modem. Leigh Anne has been having connection problems at her house and suspects HER router, so she is coming over tonite to swap! (Sounds like it will soon be time for me to upgrade MY hardware!!! We are going out to the beach campground for a few days (leaving here in the morning) and when checking air pressure, I discovered that I have a zero pressure (busted) air suspension bag inside the coil spring. This is something you need to check on Dora. Not sure if Dora has such, but it is worth checking. Glad you got the job; this means you get to buy the beer when we next see you! Ciao. Bill. Ohhh…. 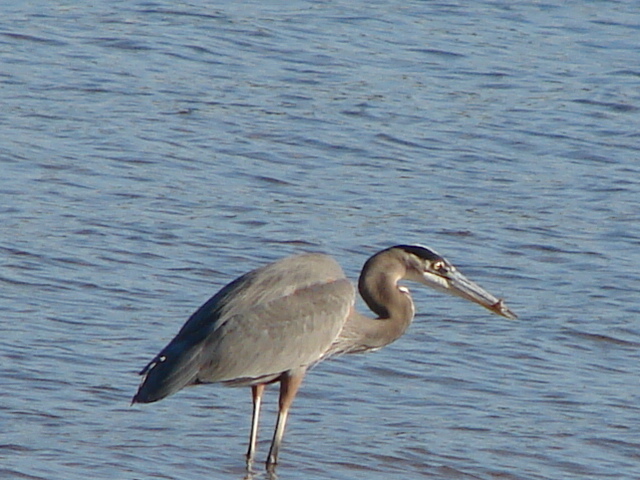 I love herons! And I love seeing our general neck of the woods through the lens of you camera. Great pics. Thanks for a new post! Weather update here is snow on the hillside and in the valley and rain in anchorage turning to snow later after it cools some tonight one to two inches of snow they say. Good to hear from you again. Right now in Alaska the snow is working it’s way down the mountains so it’s nice to see you are still enjoying some nice warm weather. Good luck on your new job. Hi Margie! Such fun to read your recent post–amazing heron photos. Wow, your new job has me wondering–hope it works out that it is what you want to do now–you are good about being flexible, especially now that you and Dora are so tight, so I do hope the job is the one for you. 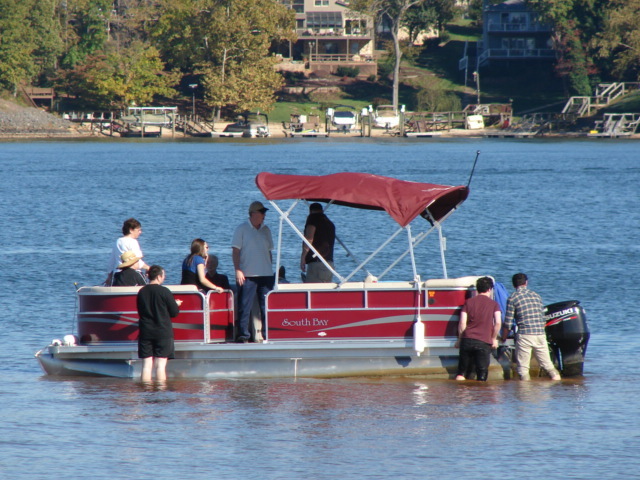 You caught me on the “first niner”–I was expecting to read a golfing experience–wow, 976 ft.-congratulations! I’m envious of your summit. It’s been a long time since I’ve done a “niner.” Keep those blogs coming. Snow is on the pumpkin here.